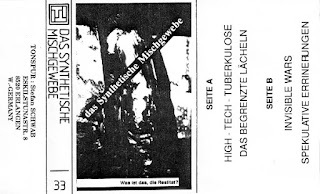 Bleak Bliss: Das Synthetische Mischgewebe‎ - Was Ist Das, Die Realitat? 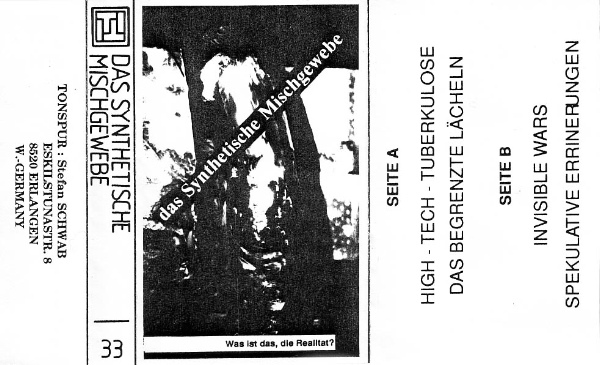 Das Synthetische Mischgewebe‎ - Was Ist Das, Die Realitat? C54 on Tonspur Tapes from 1990. 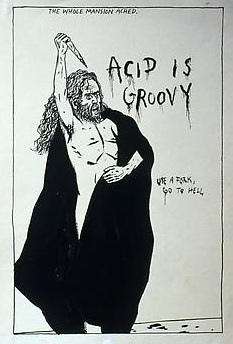 Tonspur (steered by Stefan Schwab who also recorded as Context) was one of those seminal labels that gave us an insight into the Northern European early adopters that led us to where we are today. Was Ist Das, Die Realitat?